Learn about the Willamette Shore Line’s historic past while enjoying a relaxing ride along the shore of the Willamette River. This scenic 10.5-mile roundtrip ride runs from Lake Oswego to Bancroft Street in SW Portland and features spectacular views plus several unique railroad attractions. Rides take about 90 minutes. The Willamette Shore Trolley is operated by the Oregon Electric Railway Historical Society under a contract with the City of Lake Oswego. For the trolley schedule and price rates call 503-697-7436, or visit wst.oregontrolley.com. The Willamette Shore Trolley departs from the depot at 311 N. State Street on Fridays, Saturdays, and Sundays through the summer. Winter excursions are also offered. Free parking is available at the recently improved Trolley Station, the public lot next door to the station and at Lake View Village. 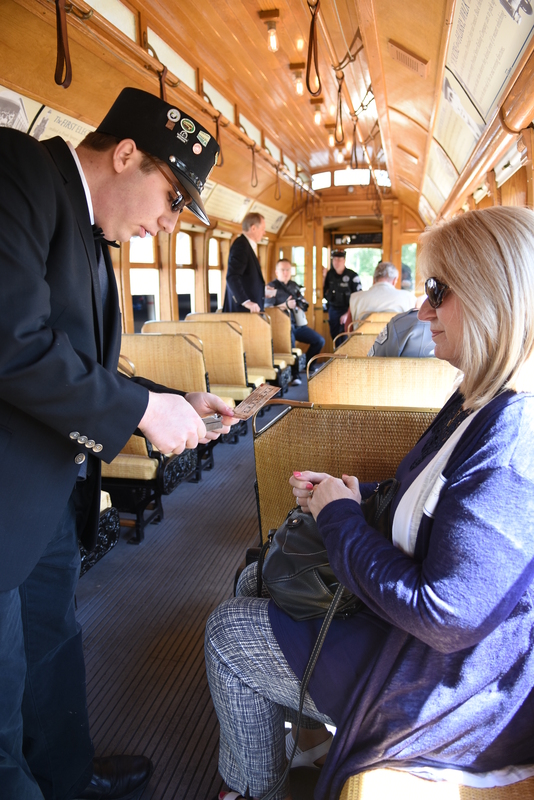 The Willamette Shore Trolley offers a ride on an authentic trolley car via the Jefferson Street Rail Line. 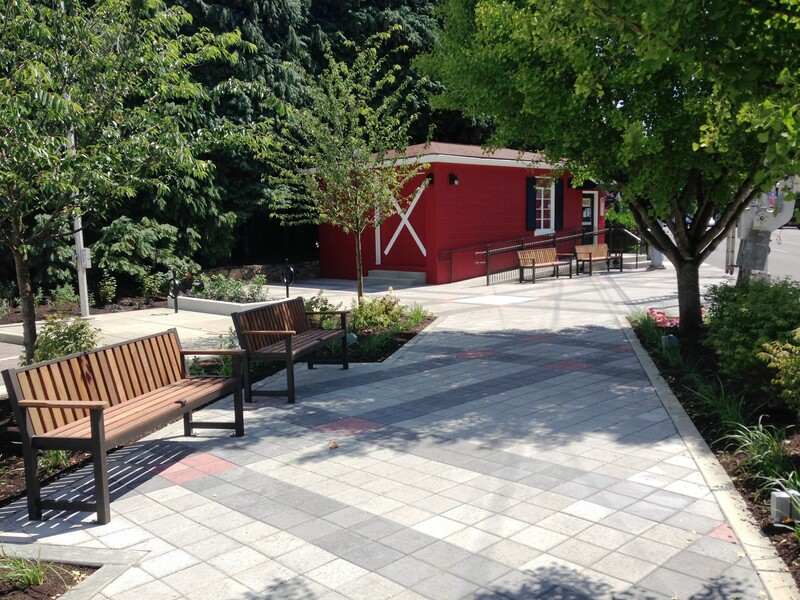 The trolley line runs for 5.25 miles between Portland and Lake Oswego, along the west shore of the Willamette River. From the northern terminus at Bancroft and Moody Streets, it travels south to Gibbs Street, where it operates down the center of Moody Street, until reaching private right-of-way again at Bancroft Street. Modern office buildings, restaurants, and condominiums may be seen in the elegant Johns Landing area. The trolley passes through the center of these attractive developments as it continues south, skirting Willamette Park. In good weather, riders may see boat moorages, marinas, and considerable boating activity. South of the Sellwood Bridge, the trolley skirts Powers Marine Park and enters a wooded area, but the river is seldom far from view. Two high trestles, including the 686-foot Riverwood Trestle, provide spectacular views overlooking the river and its east side. As the track runs through the 1,396-foot long Elk Rock Tunnel, it makes a gradual "S" curve between the portals, creating almost total darkness at midpoint. The line continues south through the woods and crosses another short bridge as it wends its way to Lake Oswego. 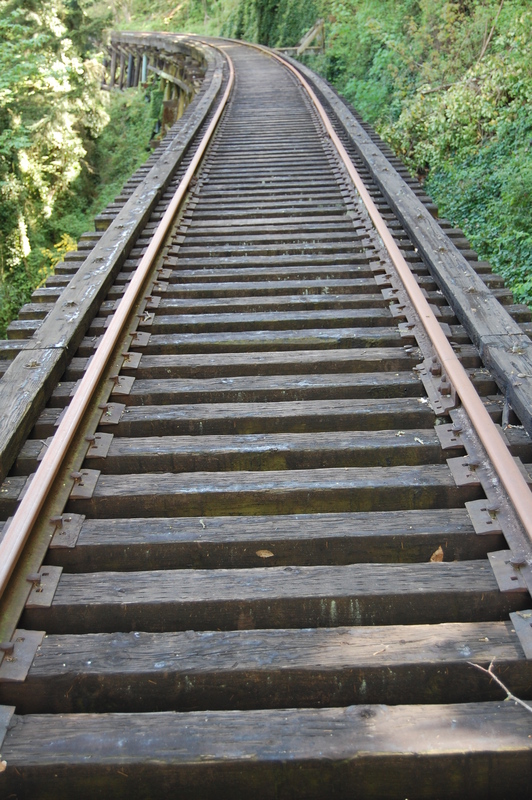 Then the track runs parallel to the rails of the still-active westward branch of the Willamette Pacific and runs beside them for the last half mile to the trolley terminus, at the old Southern Pacific depot, 311 N. State Street between A Avenue and Foothills Road.